Netflix's offering Bright is a thoroughly enjoyable and immersive experience that is well worth a watch. 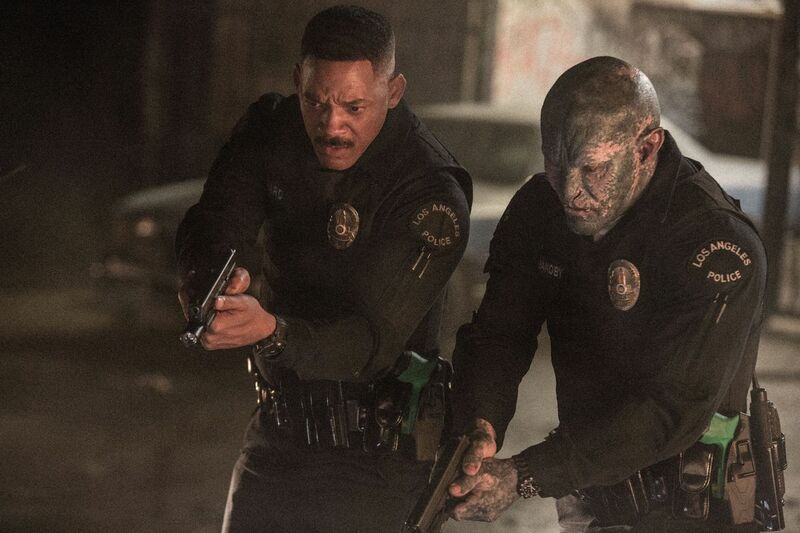 Bright is the story of two LA cops who find a super destructive weapon that endangers life as they know it. Everyone gravitates toward it, and it brings the worst out in them all. Easy peasy lemon squeezy. Now, one of the cops is an orc, and the weapon is a wand. The different groups that come after the buddy cops and the wand include gangsters, elves and other orcs. And that’s as easy as it is to get into. The world created is so immersive and integral to the characters and how the different races interact that it isn’t as much of a leap as you first might think. The wand is a believable deadly weapon that sounds funny said out loud by one of the characters but commands attention on screen. This is also, in large part, due to the welcome familiarity of Will Smith as Daryl Ward. This showcases Smith at his funniest, the likes of which haven’t truly been seen since way back in 2008 and 2012 with Hancock and MIB3 respectively. He bounces off the innocent and loveable orc Nick Jakoby as easily as an India rubber ball, although Joel Edgerton as Jakoby also gets in more than a laugh or two. Not much to shout about when it comes to Noomi Rapace and Lucy Fry until the end, where you feel a little cheated out of getting to know the sisters’ complex past. Leilah’s (Rapace) inconsistent lethality and silent stooges don’t give her enough to work from, while Tikka’s (Fry) unexplained oddness and complete vulnerability until pivotal moments when her sis shows up is confusing. You do however really feel for orc gang leader Dorghu (Brad William Henke), who gets away with the excessive monologue by showing this buddy-cop movie that every shoot out effects somebody. To be fair, all the characters that try and get their hands on the wand have legitimate reasons. It was a really enjoyable action packed romp through LA with lots of moving around, changing it up with the unfamiliar ground and growing familiarity amongst the characters. The whole representation of today’s twisted society thing through the use of the different species like human, orc, fairy and elf is easy to identify. The deep trust issues Ward and Jakoby are struggling through are not, legitimised by the scary shotgun scene at the start of the film when Jakoby fails to have Ward’s back. Everyone has just got to accept that this film isn’t necessarily trying to say or do something crazily new by mixing together two genres like fantasy and buddy-cop movie, and that’s ok. It is, however, saying something old that needs repeating. Bright is available to stream now on Netflix.